Once we have determined how many bits we are going to devote to the subnet ID and the host ID, we can figure out the subnet mask. This is fairly easy to do, now that we understand how subnetting works. We begin with the default subnet mask in binary for the appropriate class of our network. We then start with the left-most zero in that mask and change as many bits to 1 as we have dedicated to the subnet ID. We can then express the subnet mask in dotted decimal form. 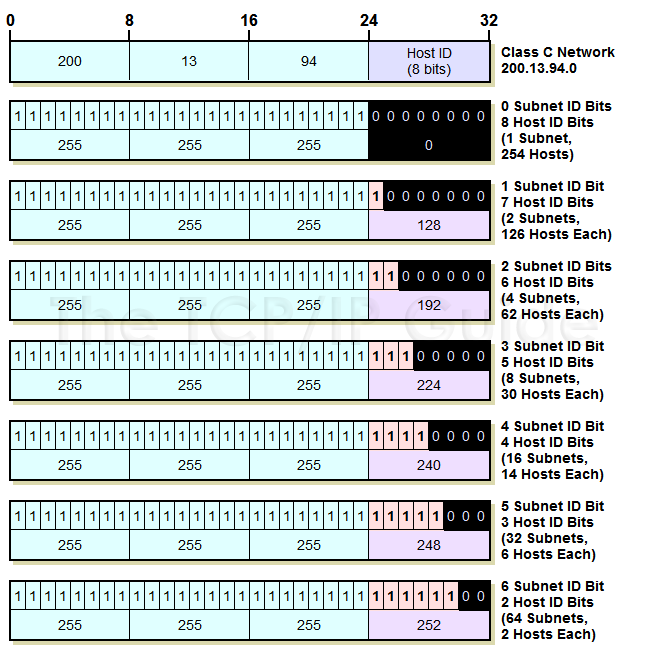 Figure 69 shows how the custom subnet mask can be determined for each of the subnetting options of a Class C network, in both binary and decimal. Since there are 8 host ID bits in a Class C network address, there are six different ways that the network can be subnetted. Each corresponds to a different custom subnet mask, which is created by changing the allocated subnet ID bits from zero to one. In dotted decimal format, this is 255.255.255.224. Key Concept: Once the choice of how to subnet has been made, the custom subnet mask is determined simply, by starting with the default subnet mask for the network and changing each subnet ID bit from a 0 to a 1.